The Truckload Carriers Association has selected the division winners for its National Fleet Safety Awards, which honor trucking companies that demonstrate a commitment to safety and accident reduction. The divisions are based on how many miles each fleet drove and winners were selected based on their accident frequency per million miles driven. The numbers were verified by an audit conducted by an independent expert. The division winners will compete for two grand prizes in two mileage categories: less than 25 million annual miles and 25 million or more annual miles. Companies will be judged on their overall safety programs both on-and off-highway. This includes employee driver and independent contractor selection procedures, training, supervision, accident investigation, inspection and maintenance of equipment and outside activities. 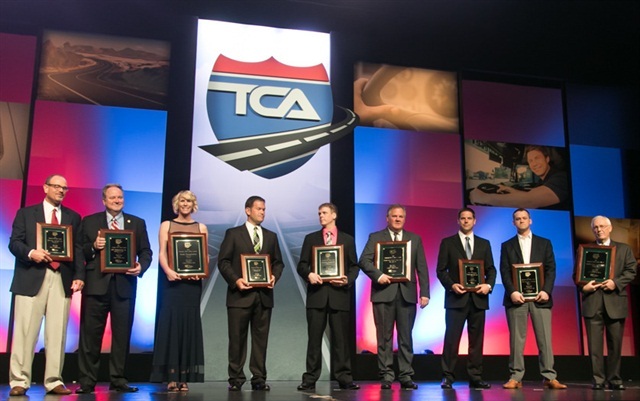 The grand prize winners and division winners will be recognized at awards ceremonies to be held during TCA’s Annual Convention, March 6-9, 2016 in Las Vegas, Nev. They will also be recognized during TCA’s Safety & Security Division Annual Meeting, to be held May 22-24, 2016 in Fort Worth, Texas.